Benetracker is designed to pass your music, photos, videos, accounts, information, passwords, memories, documents and more to whomever you wish at any date in the future. 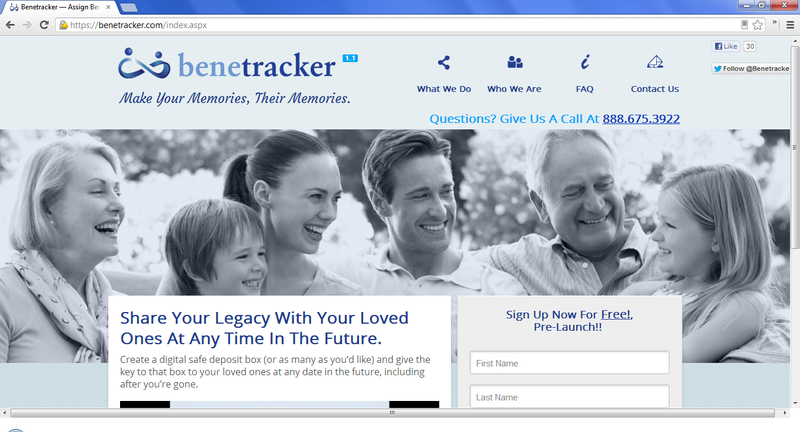 Create digital safe deposit boxes and assign beneficiaries to your digital assets then give the key to that box to your loved ones at any date in the future, including after you’re gone. You receive 1 GB of storage free. Follow them on Twitter and Facebook.